The University of New Mexico School of Architecture and Planning (SAP) is encouraging grade-schoolers to explore research, design, math and science through the NM Future City Competition. Students from grades 6 through 8 will compete in the regional contest this Saturday, Jan. 12 in George Pearl Hall starting at 7 a.m. The competition focuses on tackling challenges of infrastructure and natural resources. Because New Mexico's ecosystem, climate and culture are so diverse and unique, growing the next generation of innovators requires not only creative minds, but also teamwork, planning and communication skills. The contest gives students the opportunity to be designers and engineers for the day through identifying problems, brainstorming ideas and creating solutions. New Mexico students travel in from across the state to participate, and include representatives from APS, Belen, Mescalero, Ohkay Owingeh, Sandia Prep and a myriad of others. This year SAP will host more than 350 participants. The 2018-2019 theme is Powering Our Future. Teams will design a resilient power grid for their future city that can withstand and quickly recover from the impacts of a natural disaster. They must produce a 1,500-word essay, scale model, project plan and presentation. Regional winners compete in the national finals, which will be held in Washington D.C. in Feb. In addition to creating opportunities for competitors, the event also opens doors for UNM students to volunteer and assist in local community building. 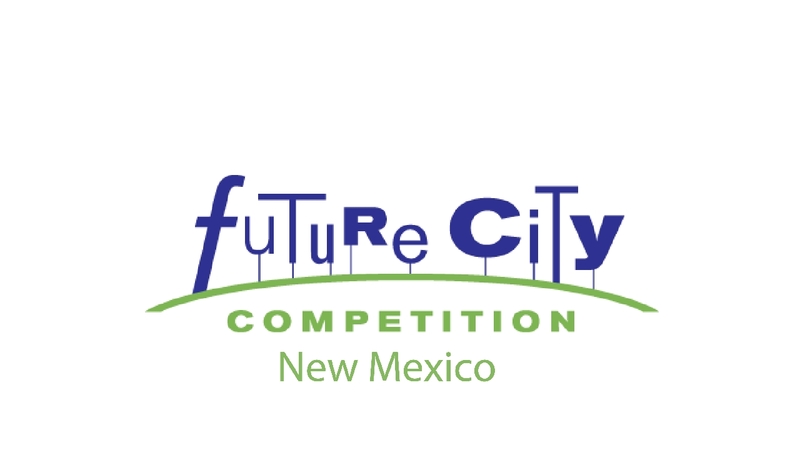 This year, SAP student Andrea Romo designed the NM Future City Competition t-shirts.